We are officially sold out of tickets to meet Nick Foles! We anticipate having more signed books available for purchase soon. If you would like to be put on our wait list to be notified when more books become available, please fill out the form below. We will contact you by email as soon as we have more information. When the Philadelphia Eagles’ starting quarterback went down with a torn ACL in week 14 of the 2017 NFL season, many fans—and commentators—assumed the Eagles’ season was over. 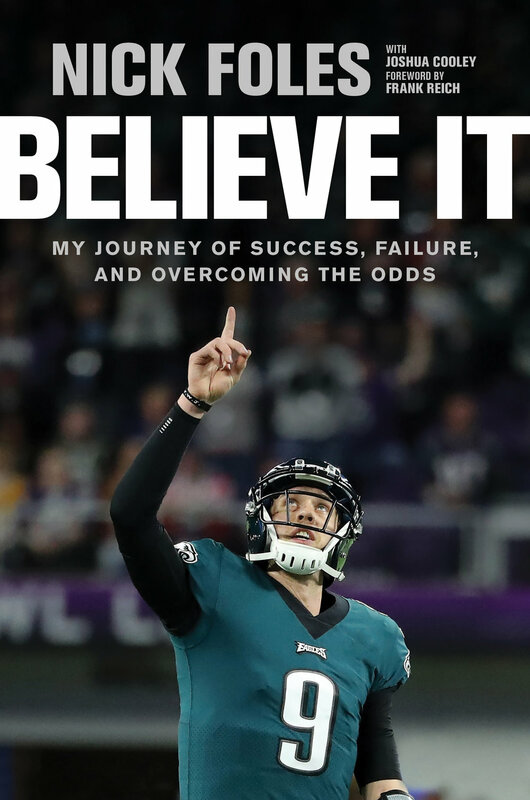 Instead, Nick Foles came off the bench and, against all odds, led the Eagles to their first Super Bowl victory in history.